At seventeen years of age, Adria Idonea has already seen both sides of war. Once princess in a citadel tower, she followed the ghosts of her childhood to join the kingdom's enemies, the Aesidhe of the Heiland wild. 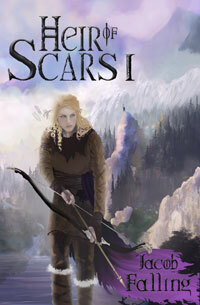 The Complete Edition of Heir of Scars I (Parts 1-8) is available for both Kindle and paperback on Amazon.